Home Alternative health Does Hypnotherapy Really Work? Hypnotherapy, also known as hypnosis, is the use of relaxation and concentration to remedy physical and emotional health issues. Those who partake in hypnotherapy attempt to achieve a heightened state of awareness and attention. For those who achieve it, the focus is so great that they can be completely unaware of anything else happening outside of them. In this state, the person can think about specific things. Hypnotherapy is a way to concentrate on thoughts or activities that one might otherwise block out. Many times, hypnotherapy is used in conjunction with psychotherapy as opposed to being used as a standalone tool to health. The primary benefit of hypnosis is that it can allow people to explore thoughts and ideas their conscious minds have blocked out. Many times, these thoughts are painful and cause too much anxiety to be explored in a non-hypnotic state. When under hypnosis, however, the pain can subside and the thoughts can be explored more rigorously to solve the problem. Another benefit of hypnotherapy is that it can improve one’s ability to deal with pain in normal life. Those who partake in hypnosis often have less difficulty dealing with pain when they are not under hypnosis, and they can even perceive events and ideas differently. The two primary types of hypnotherapy are suggestion therapy and analysis. Suggestion therapy is a type of hypnosis in which the patient will more easily respond to suggestion. In this state, it can be easier to help someone quit smoking or other bad habits because they are more willing to listen to suggestions. Suggestion therapy is also used to help people deal with pain. Analysis, on the other hand, is a type of hypnosis wherein the patient tries to uncover the root of their pain. Analysis is a more overarching hypnotherapy technique than suggestion therapy because it attempts to find the base of the problem and eradicate it. Many times, psychotherapists will use analysis to find the problem that is causing a person pain, then implement suggestion therapy to alleviate the issue. Hypnotherapy is used for a variety of issues, including phobias, anxiety, sleep disorders, depression, stress, and so on. It is also used to overcome habits like biting nails or overeating. Many times, people resort to hypnotherapy for severe problems that haven’t improved through more traditional treatment methods. Hypnotherapy has been proven effective in numerous studies, but it needs to be used on the right people. 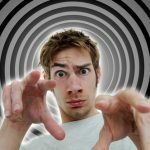 Those with serious mental health issues should avoid hypnosis. Similarly, those addicted to drugs or alcohol should not use hypnotherapy to treat their problems. Lastly, people with dissociative disorders could experience false memories while under hypnosis, and should thus steer clear. For everyone else, hypnosis is a great tool to deal with a variety of ailments. It is not a type of mind control, but rather a method to allow for relaxation so deep-rooted problems can be addressed. There are no major risks associated with hypnosis; people don’t fall into trances and stay in them, and the process is very harmless. Still, hypnotherapy can have major positive effects for users.